Self Cure Remedy details of Apply aloe vera for the care and relief of Bee Sting, including effectiveness and popularity scores of the remedy. 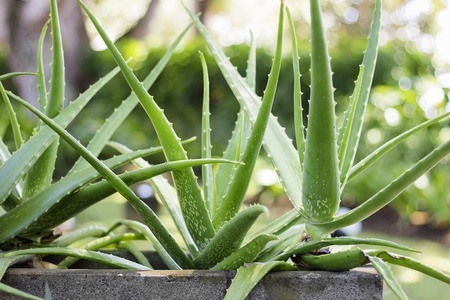 Aloe vera reduces inflammation, pain, and itching. Squeeze the aloe vera gel directly onto the affected area. The self cure remedy of Apply aloe vera for the care and relief of Bee Sting has an effectiveness score of 3.4 and a popularity score of 60 on the self-cure system.